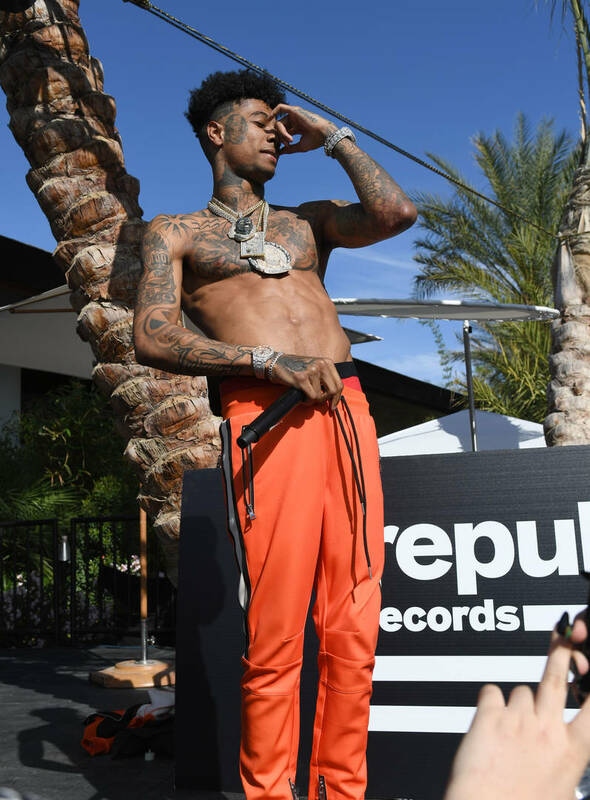 Blueface has been steadily climbing up the ranks as one of the hottest rappers out right now. Thanks to his ability to rap three days ahead of the beat, Blueface has quickly become a viral sensation and he’s been taking his newfound fame in stride. With co-signs from a variety of rappers, it’s clear that Blueface will be here to stay for a while, whether you love him or hate him. Blueface also takes pride in the fact that he’s a crip, so every chance he gets, he gets dressed up in blue attire. His love of blue made its way to Complex’s shoe Sneaker Shopping where the rapper hit up Flight Club Los Angeles with Joe La Puma. During the episode, Blueface spoke about how he used to be a star quarterback in high school and how he always knew he’d be a dope rapper some day. The rapper explained how he believes himself to be a man of the people as he can consistently be seen performing at high schools for crowds of adoring teenagers. He even used to hit up Foot Lockers where he would do impromptu meet & greets with fans. At the end of the episode, Blueface spent a clean $2400 on sneakers, including some all-blue Nike Cortez, all-blue Jordan 12’s and some all-blue and gold Nike Huaraches.